You can do a lot with chickpeas. 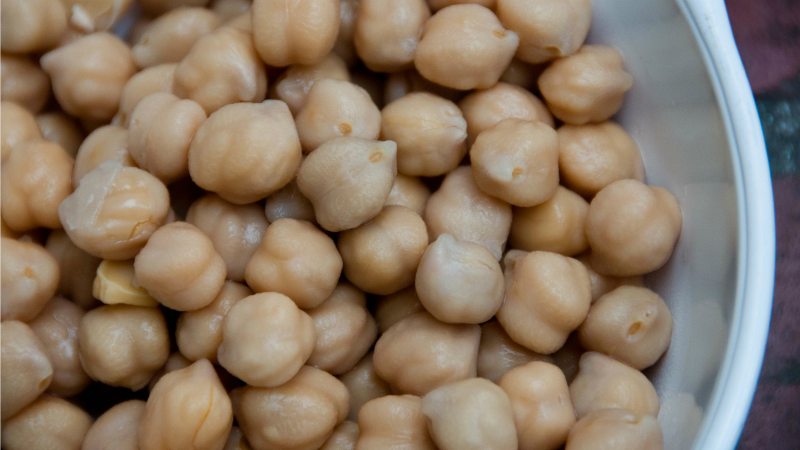 You could whip up some hummus, use the liquid to stabilise some meringues, or even transform the chickpeas into a sweet, peanut butter like spread that's not only packed with protein, but safe for those with peanut allergies. The link below has all the tasty details, but you'll start by roasting a can of drained (but not rinsed) chickpeas at 180°C with a drizzle of vegetable oil for about 20 minutes. Once the beans have cooled, transfer them to a high-powered blender and blend until you have fine powder. Add 1 1/2 tablespoons runny honey, 1/2 teaspoon of ground cinnamon, 1/4 teaspoon of salt and 4-8 tablespoons of melted ghee, depending on how creamy you want your butter to be. Use just as you would peanut butter on crackers, in sandwiches, or even in desserts.